Chiropractor for Knee Pain - How Effective Is It? Chiropractor For Knee Pain – How Effective Is It? Knee pain is increasingly becoming a common ailment these days. This is because the pain can be triggered by several factors, but most of the complaints are generally related to osteoarthritis and ‘wear and tear’. In fact, one of the common causes of knee pain is the excessive body weight that exerts a lot of pressure on the knee. This may eventually lead to a stain that might, in the long run, lead to some serious knee injury. The condition can, however, be effectively treated by a chiropractor for knee pain. Can a Knee Pain Chiropractor Help? Doctors of Chiropractic are trained to examine and evaluate the skeletal or muscular body systems. This is actually important in the treatment of knee joint problems as the alignment of the spine, pelvis, ankle and knee, all play an important role in treating knee pain. Chiropractic doctors start by examining how the knee is tracking. They will make the patient walk or run as they closely watch and evaluate the tracking in the knee. Similarly, a special measurement called ‘Q-Angle’ can also be employed to determine the amount of tracking pressure that is exerted on the knee joint. The Q-angle measurement is simply the deviation of an imaginary line that is drawn between the knee, the hip and the ankle. The more outward or inward the knee-cap is from the hip or ankle, the greater the amount of tracking stress in the knee joint. This information is actually important in chiropractic treatment and will be taken first, before the doctor can embark on the treatment. 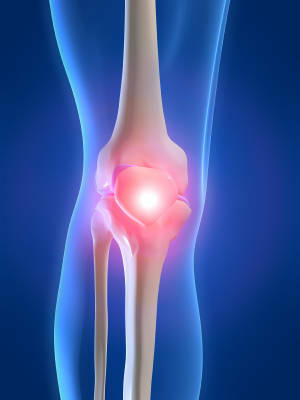 During the chiropractic treatment for knee pain, knee alignment can be corrected through therapeutic measures. Some of the therapeutic measures include stretching, joint manipulation and the strengthening of all the muscles that are supporting the knee. In addition to that, a special footwear with proper attention to cushioning, arch support as well as the reduction of hyperpronation (rapid turning of the foot while running or walking) will, to a great extend, help to improve the knee condition. To ascertain whether hyperpronation is the main cause of the knee joint problem, a simple hyperpronation check may also be done. The heels of the patient’s shoes will be examined as well as the patient’s patterns of wear. If the shoe registers some excessive wearing-off in the outward edge, then hyperpronation is evident. The patient’s foot will then be made to roll inwards in order to disperse the heel strike shock. This is actually called the ‘normal pronation’. Foot hyperpronation should be reduced since it normally translate to a poor tracking of the knee joint which may in turn worsen or trigger knee pain. Need a Chiropractor for Knee Pain in Toronto? Whether the knee joint problem is chronic or acute, a proper diagnosis and treatment should not be understated. Even though analgesics may help to relieve the pain as well as reduce the swelling, getting a proper chiropractic treatment to treat the condition from the root cause should be highly prioritized. Dr. Kris Dorken of Core Wellness Centre has all the necessary skills and qualifications to handle all matters pertaining to knee problems and should be contacted for a proper diagnosis of the condition as early as possible. Call 416 479 – 8311 today!